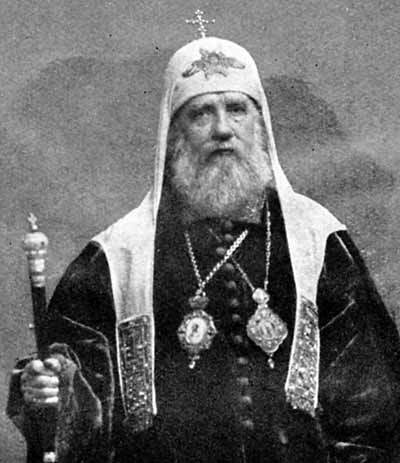 By 1925, following his near-assassination, Patriarch Tikhon’s health was in serious decline. Among other things, his heart was failing, and he suffered from severe inflammation of the mouth. In December 1924, the Ecumenical Patriarchate was about to elect a new Patriarch. 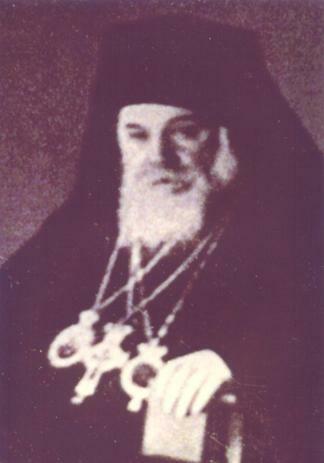 The top contender was Metropolitan Constantine of Prusa. This was a problem, because Constantine had only moved to Istanbul in 1921, which was after the October 1918 deadline set by the Lausanne Treaty – all Greeks who were residents of Istanbul in October 1918 were exempt from deportation, but any who arrived later could be deported. The Turks briefly arrested Constantine and two other candidates, and the Greek consul in Istanbul begged the Holy Synod to postpone the election. But they refused, and the next day, Constantine was elected Ecumenical Patriarch. The Turks insisted that Constantine was still going to be deported. An international “mixed commission” had been set up to oversee implementation of the Lausanne Treaty, and the Greek representatives tried to appeal to this commission on behalf of the Patriarch. But the commission’s hands were tied – the deportation provisions of the Lausanne Treaty made no exceptions for church leaders, so the Patriarch was to be treated no differently than any other Greek. At around midnight on January 30, 1925, the Ankara-based Turkish government sent a cipher telegram to Istanbul, ordering the expulsion of Patriarch Constantine from the country. At 6:30 in the morning, the Patriarch was confronted by the Assistant Director of Police, who took him to a railroad station and put him on a train to Greece. Rumors swirled that more Orthodox bishops would be deported in the coming days. Greece responded by severing diplomatic ties with Turkey and appealing to the League of Nations. The Turks and the Greeks and the remaining Holy Synod members in Istanbul were negotiating next steps, but then the exiled Patriarch Constantine threw a monkey wrench in March when he refused to abdicate. Both Constantine and his predecessor Meletios, along with a sizeable number of metropolitans, proposed transferring the Patriarchate to Mount Athos and appointing an archbishop to the Phanar in Istanbul. But, counterintuitively, the Turks weren’t all-in on expelling the Patriarchate itself. The British ambassador to Turkey explained, “It has been realised that its continuance here may provide Turkish policy with certain levers which could be lost if the institution was completely suppressed. The present intention of Angora [Ankara] is, therefore, to keep the Patriarchate here, but in such a reduced state that it would be a mockery of its former self and a ready tool in Turkish hands.” This is the Turkish position that ultimately won out, and the Ecumenical Patriarchate has remained in Istanbul to this day. Amidst this uncertainty, in February, the Holy Synod of the Romanian Orthodox Church decided to elevate their Church to the rank of Patriarchate. Later in the year, Metropolitan Miron was enthroned as the first Patriarch of Romania. Over in Russia, Patriarch Tikhon underwent an operation on his mouth. His physical condition continued to worsen until, in early April, the great, long-suffering Patriarch Tikhon died. He was only sixty years old. At the time of St. Tikhon’s death, Metropolitan Peter of Krutitsy was the only one of the three designated successors in St. Tikhon’s will who wasn’t in prison or exile, so he took the position of Patriarchal Locum Tenens. Three days after St. Tikhon’s death, a purported “last will and testament” of the Patriarch was published in Soviet newspapers, caving to Soviet pressure on a variety of fronts. Then in May, under heavy pressure from the Greek government, Ecumenical Patriarch Constantine resigned. In July, Basil III was elected Ecumenical Patriarch, this time with Turkish permission. The same month, the Moscow locum tenens Metropolitan Peter issued a letter reiterating the Orthodox rejection of the renovationist Living Church. Also in July, Metropolitan Platon, leader of the Russian Metropolia in America (today’s OCA), was forcibly removed from his cathedral by police officers, who were enforcing a court order to hand over the cathedral to the pro-Soviet Bishop Adam Philipovsky. But three weeks later, the tables turned – a new court order awarded the cathedral to Metropolitan Platon, and police entered the building and ousted Bishop Adam. This was only a small episode in the back-and-forth legal (and sometimes physical) battles over St. Nicholas Cathedral. In October, with the canonical Russian Orthodox Church still under heavy persecution by the state, the second Renovationist Council of the “Living Church” convened in Moscow. The council’s honored guest was Archimandrite Basil Dimopoulos, official representative of the Ecumenical Patriarchate. Dimopoulos and a representative of the Patriarchate of Alexandria concelebrated the divine liturgy with the Renovationists. In November, the Soviet media published accusations against Metropolitan Peter. Over the next month, numerous Orthodox bishops were arrested, including, on December 10, Metropolitan Peter himself. Like St. Tikhon before him, Metropolitan Peter had designated successors in the event of his arrest, and according to his instructions, leadership of the Russian Church passed to Metropolitan Sergius of Nizhny Novgorod. A group of ten bishops rejected Sergius’ authority and immediately held their own council, electing Archbishop Gregory of Ekaterinburg as their leader. The Church of Russia, already facing heavy persecution and dealing with the Living Church schism/heresy, now faced its own internal schism, as well.